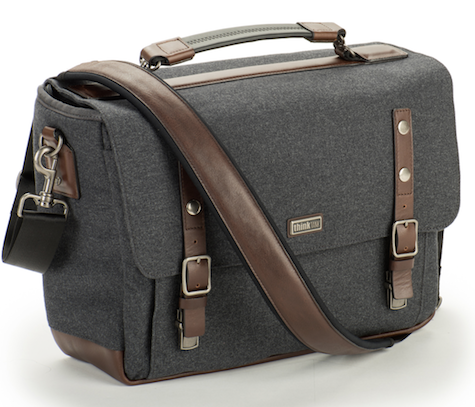 This premium middle-size fabric shoulder camera bag is ideal for photography and everything else. 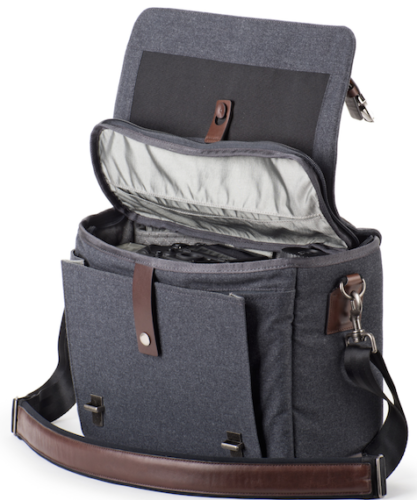 Load it with camera equipment and tech gear, fill it with personal items for an overnight stay, tote it with books and other stuff for a day at work or school, or take it stuffed with odds and ends on the plane when you travel. 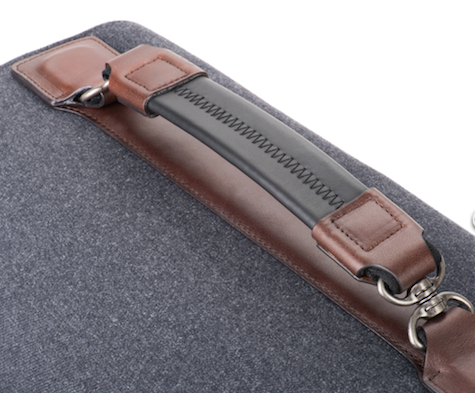 When Signature 13 is full it’s heavy, and you’ll be glad to have both the neoprene and leather padded shoulder strap and a solid grip leather handle on the top of the case. Construction is extremely rugged, and the flat leather bottom is a welcome feature. A rain shield is included when a sudden storm soaks the parade you are photographing with your cousin from Kankakee. 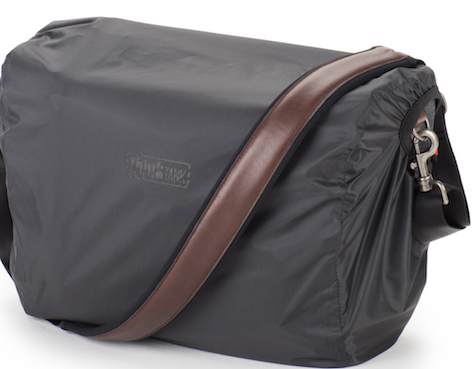 Most days you will be secure from the elements and clumsiness with the triple-thick cover flap and inner gear zip cover. 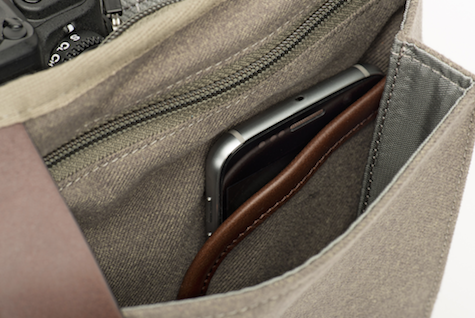 Dedicated compartments with zippers, snaps, or velcro on the front, rear, and inside will fit your small laptop computer plus iPad, iPhone, and cables, with room to spare. 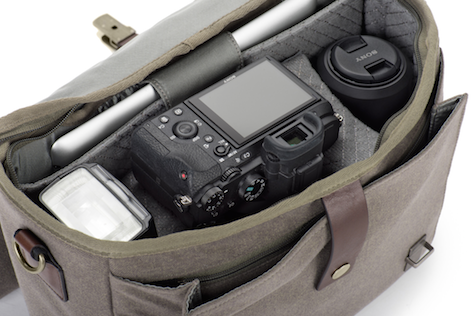 Durable and movable camera and lens zones can be positioned wherever you need them to be for your photo equipment. These dividers are removable to create an ample internal space that I use for my hefty portable speaker and microphone system when I’m conducting a class or workshop. 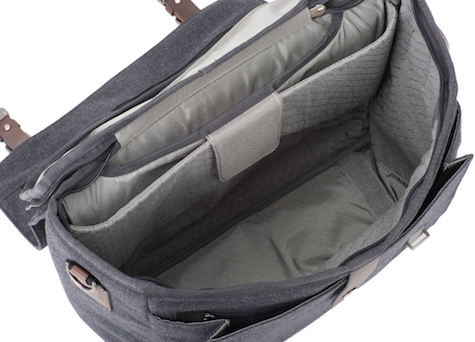 There is a pass-through pocket on the rear for sliding over the tall pull handle on your rolling luggage. 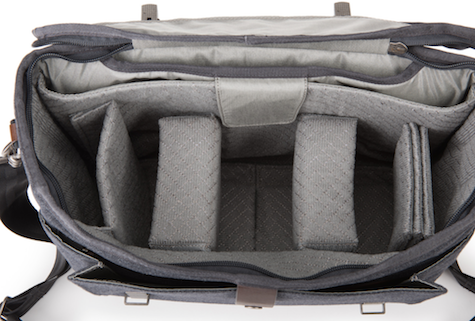 No water bottle compartments are built in, but the internal cover zone flap has an expansion design so you can squeeze your empty water bottle in over your gear and fill it when you get to your assignment or local watering hole. 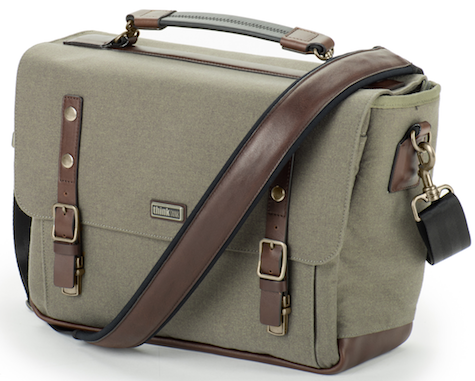 A classic and stylish snap clasp closes the large cover flap in place. It will take you a few tries to master this closing and opening method. The neoprene and leather shoulder strap is not squishy or wide enough for my bony shoulders when I’m covering a distance greater than a city block while Signature 13 is fully loaded, so I alternate between grab handle and strap in those situations. This case comes with a forever guarantee for the original purchaser. Think Tank Photo is a top tier company in every way. If the nearly $300 price makes you gasp, consider the value of what will be inside a Signature 13 and how much you want to keep everything safely in place.